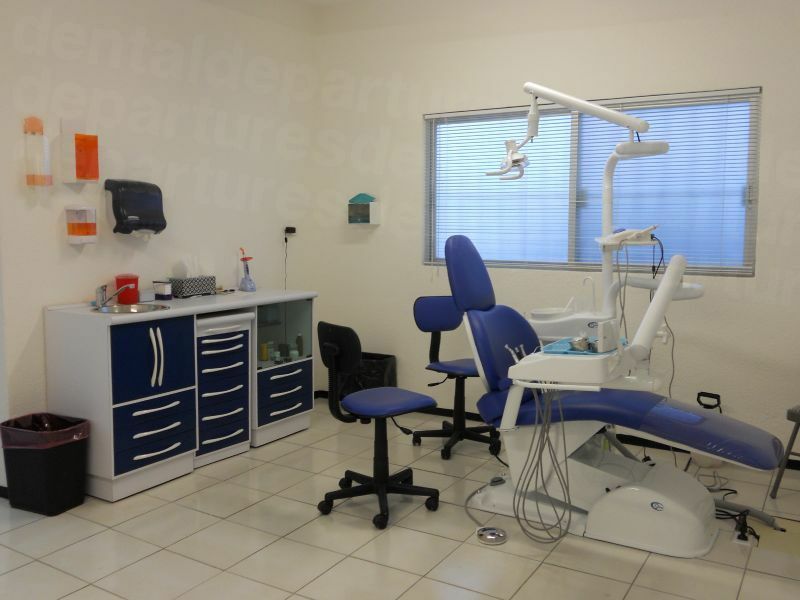 Visit our dentists in Puebla City – one of Mexico’s much loved Colonial cities. A moderate climate, elegant architecture and one of the most affluent places in the country provides a sophisticated environment for your dental work with our top-quality dentists. Puebla’s history is long – it was the first place in Mexico the invading Spanish built a city. Before the Spanish arrived in 1519, indigenous groups, including the Toltecs and Olmecs, inhabited the region. Along with near neighbors, San Andres and San Pedro Cholula, they form one of the longest continually occupied sites in the Americas – dating to at least 1AD. The city oozes history. 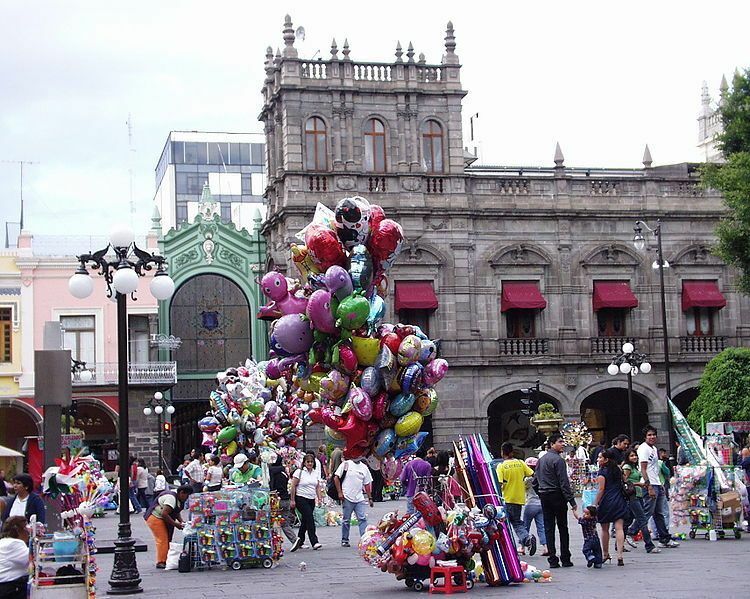 One of Puebla’s greatest historical moments is celebrated on Cinco de Mayo – 5th May. On this date in 1862 the invading French army was defeated by a Mexican army just half its size. The battles took place at forts Loreto and Guadalupe, both of which are open for visitors in the outer reaches of the city. 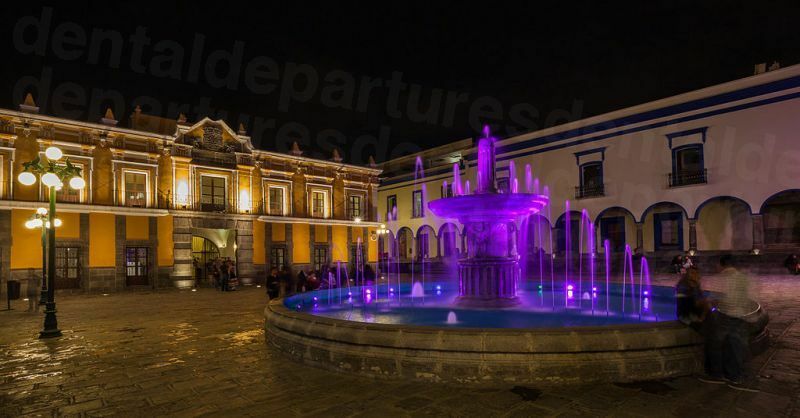 The City of Puebla is abundant with historical artifacts, as well as well-kept gardens, peaceful courtyards, renovated haciendas and meandering streets. The Parian, in the old San Roque Square is a treasure-trove of traditional crafts, with more than 100 stalls offering creations from across the state – and open every day of the week gives you more than enough time to pick up some souvenirs. Puebla’s history gives rise to its famous gastronomy – a blending of Spanish and pre-Hispanic cuisine but with other influences, including French and Lebanese. Mole Poblano, a national dish with over 30 ingredients and Chiles en Nogada, stuffed chili with walnut sauce, are said to originate here. A food lovers paradise, try some chalupas (mini corn tortillas topped with shredded pork, onion and chili sauce) from the street vendors as you take in the sights. In a beautiful setting fringed by Volcanoes, Puebla’s laid-back ambience, warm hospitality and colorful Colonial buildings provide a multitude of diversions for dental tourists in between appointments, and if you have more time on your hands there are a multitude of other attractions outside of the city in the state of Puebla. The City of Puebla is the capital of the State of Puebla, located in Central Mexico. It lies around 80 miles (130 km) southeast of Mexico City. 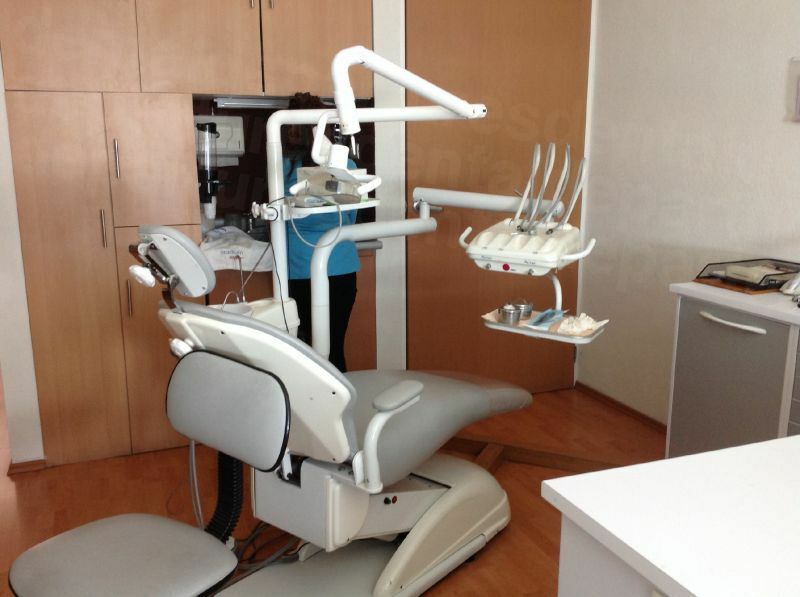 Why visit a dentist in Puebla? A relaxing city with a blend of European, Arabic and American styles its well-preserved architecture transports you to another world. If Mexico’s popular beach resorts don’t appeal, but culture and a slightly cooler climate for exploring do, then Puebla is a great alternative. For US and Canadian travelers, it’s less than a couple of hours away from Mexico City, offering a convenient travel destination. In and around the City of Puebla are a range of accommodation choices to make your stay in Puebla a real home-from-home. Depending on when you go there are some fantastic deals - from 5 star luxury with rooftop pool in the center of town to self-catering suites. Puebla is as safe as anywhere else in the world. In fact, there are no travel warnings from the US State advisory for the whole state of Puebla. Yes – as long as you find a reliable dentist and clinic. 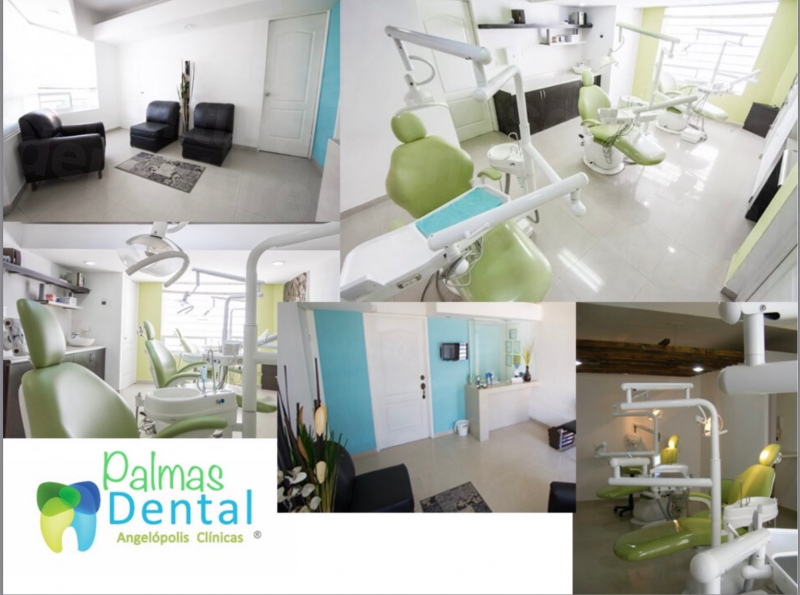 Traveling to the City of Puebla for your dental care can provide you with the same quality as you would expect from your dentist at home, as long as you have done a little background work. For many people, going to the dentist anywhere is going to cause a certain amount of anxiety, and in part this is fear of the unknown. By finding out as much as you can about the dental treatment you need – and the dentist and clinic you are going to – can help ease your misgivings. Dental Departures helps you in this process. All our verified dentists have already been background-checked by us, and as well as legal and criminal checks we also authenticate qualifications and professional memberships. These are listed on our website, alongside high resolution clinic photographs, prices and real patient reviews – all designed to give you the fullest amount of information possible in order to assist you in making a decision that is right for you. American and Canadian patients have been coming to Mexico for dental and medical care for centuries. The difference between dentistry then and now is that standards throughout the world are now much more uniform as training, new techniques and equipment are available across the globe. Sure, there still isn’t one global standard, but initiatives such as the International Standards Organization (ISO) which monitors health and safety, is a step toward this. 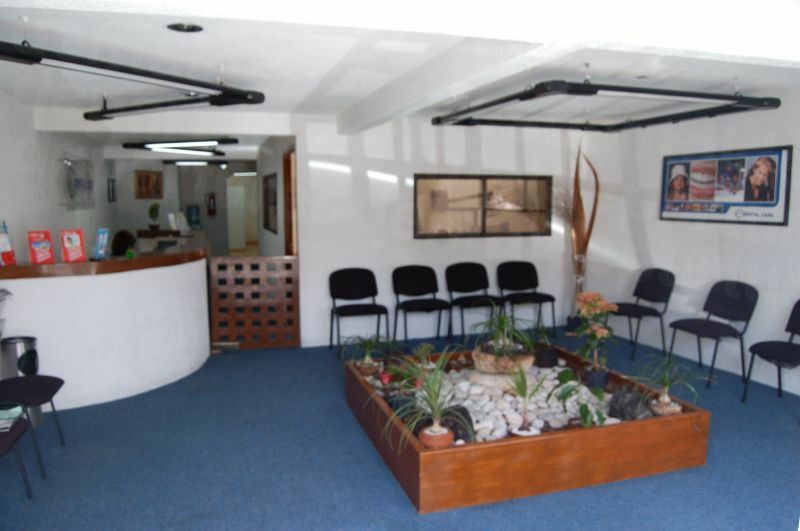 English is spoken at our dental clinics in Puebla, so you don’t need to worry about not being able to speak Spanish. 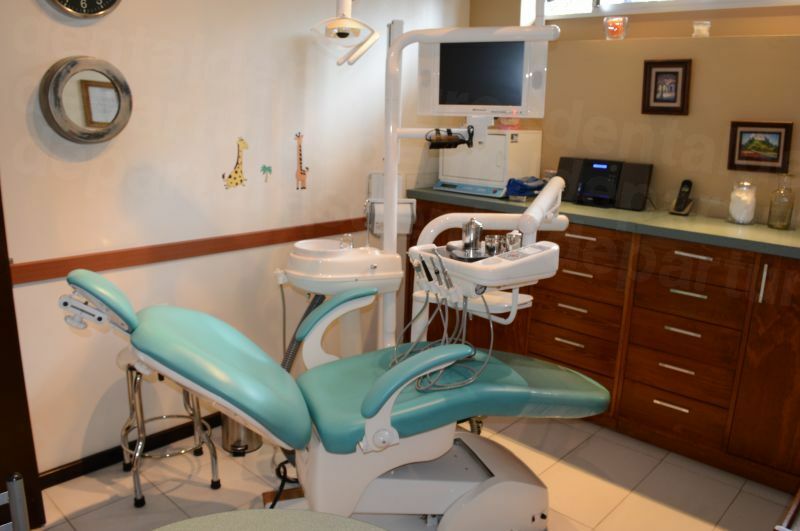 Our dental clinics in the City of Puebla accept US dollars, and most accept some other forms of payment too, but you will need to check out the individual clinic payment options on our website. Travelers and personal checks, bank transfers, as well as debit and credit cards are all other methods of payment which may be used, but it’s worth noting there may be a small processing fee of 3-4% for credit card transactions. 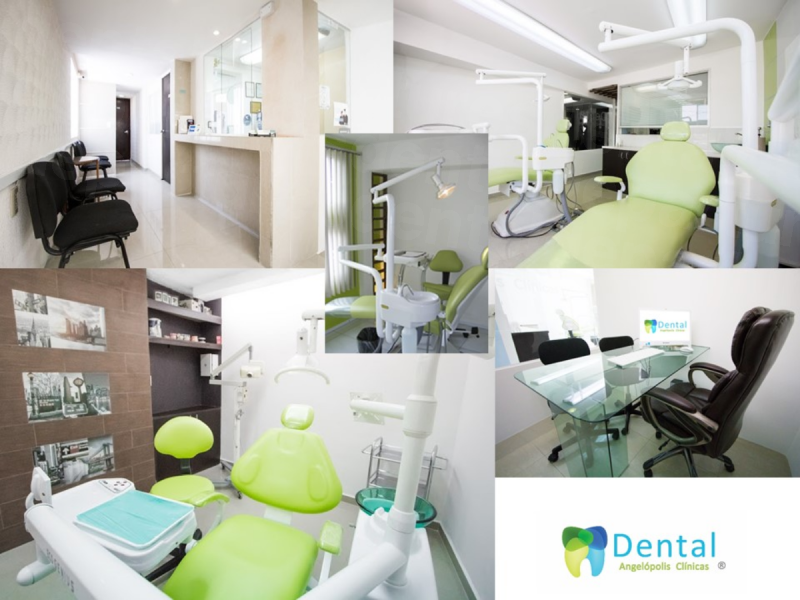 Our dentist in Puebla City all have warranties and guarantees for the care they provide – both on the work they perform, as well as the materials they use. No matter how good your dental care is, the human body is unique to each individual and so no medical or dental procedures can be guaranteed 100%. You can reduce your risk by ensuring you go to a quality-checked dentist who is experienced to provide the necessary skill required for your procedure. In the rare event that something does go wrong (and these events are uncommon in our experience), you are assured that Dental Departures and your dentist will get it put right. We are more than happy to advocate on your behalf if you would rather we speak to your dentist for you. You may be interested in taking out additional ‘complications insurance’ which will cover your additional expenses, such as travel and accommodation fees, if you have to travel back. 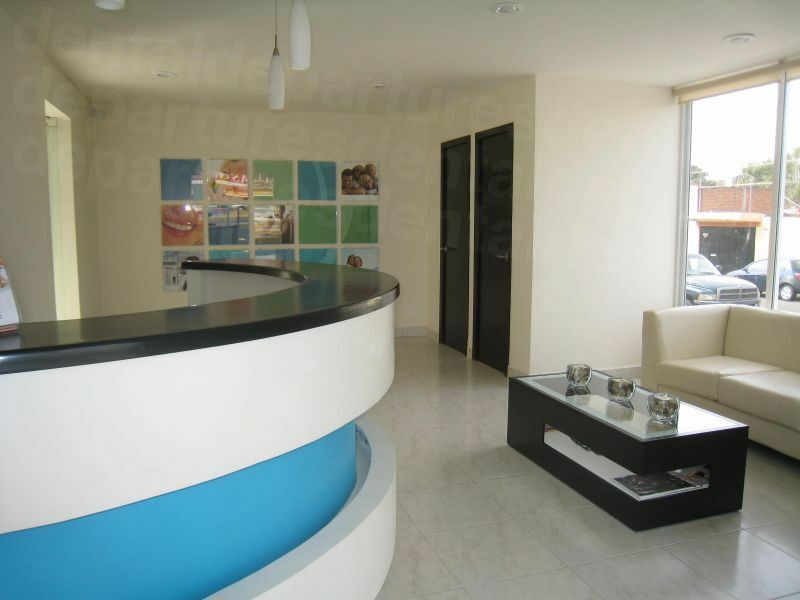 It is improbable that US or Canadian dental insurance is accepted by your dentist in Puebla City. If you do have insurance and your provider allows for ‘out-of-network’ care you may well be able to claim back your expenses when you return home. Get in touch with your provider to find out and make sure you have the appropriate documentation to bring with you to your appointment. 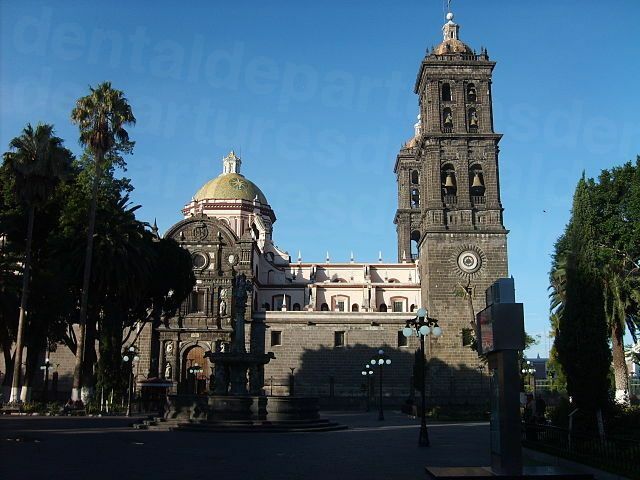 Puebla has a pleasant climate the whole year round, and is good for visiting at any time of year. Our dentists are open all year too, except for the obvious holidays such as Christmas. The City of Puebla is an historic, old Colonial location and there are winding, narrow streets rather than accessible, pedestrianized thoroughfares characterized by modern towns, so it may be difficult to get around at times. There are plenty of modern hotels in the area, which are, of course, wheelchair friendly and many of our dentists are wheelchair accessible. Just have a chat with our Customer Care team to discuss your requirements as we will always do our best to get you to see one of our dentists. In Mexico, the standard method of pain relief is local anesthetic rather than sedation dentistry which your dentist at home may provide. If you prefer this form of pain relief, many of our dentists offer this provision, but as the services of an anesthesiologist are required (and will need to be booked in advance), there is an additional fee of around $400. Prescription medication, such as Valium, must also be ordered in advance too. What else is there to do in and around the City of Puebla? Puebla’s historic center is a UNESCO World Heritage Site, with a blend incorporating 16th and 17th century American, European and Arabic styles. It’s well-preserved architecture, particularly religious buildings, including the archbishop’s palace and ex-convent of Santa Rosa, are among fine examples of how talavera tiles were used both inside and outside buildings. The technique for making pottery was brought to Puebla from Talavera del la Reina in Spain and the ceramics have since become synonymous with the area. The city is a joy to walk around, or you can take guided tours on the Turibus (bus) or Tranvia (tram). Discover beautiful architecture, such as Our Lady of the Immaculate Conception Cathedral, or the ornate lavishness of the Baroque interior of the Rosary chapel of Santo Domingo, which belies its austere grey exterior. The Museo Amparo contains a large collection of pre-Hispanic and contemporary Mexican art, housed in two colonial buildings – one a former hospital, the other a mansion, and the Biblioteca Palafoxiana is the Americas oldest public library with a collection of more than 40,000 books. After a day’s sight-seeing you can head to the Angelopolis, where at night you can relax and unwind in the areas many restaurants, cafes, bars and clubs. Outside of the City, the state of Puebla also has many attractions, including the three Pueblos Magicos (Magic Towns) of Cuetzalan, Pahuatlan and Zacatlan, offering visitors unique cultural experience. Other towns, such as Chignahuapan with its nearby thermal springs and Cantona – five square miles of pre-Hispanic ruins believed to be the largest discovered in Mesoamerica – are also worth visiting. One of the most impressive sites in the area is located in Cholula. The Great Pyramid of Cholula is the world’s largest, with the Virgen del los Remedios church at its peak. For something a little different there is the Africam Safari Park which contains over 500 acres of wild animals, including lions, tigers, buffalo and giraffes, around 10 miles (16 km) south of the City. Puebla offers many quiet places for walking or picnics, as well as more adventurous pursuits, including mountain-biking, and even paragliding. One of Mexico’s most beautiful locations, for visitors and dental tourists alike it offers an array of sights and activities to suit all tastes. Puebla’s Hermanos Serdan International is the nearest airport, serving only a couple of US cities, but most travelers tend to fly into Mexico City, which is around an hour and a half drive away. Speak with our Customer Care Team via our toll-free phone number, or online chat. 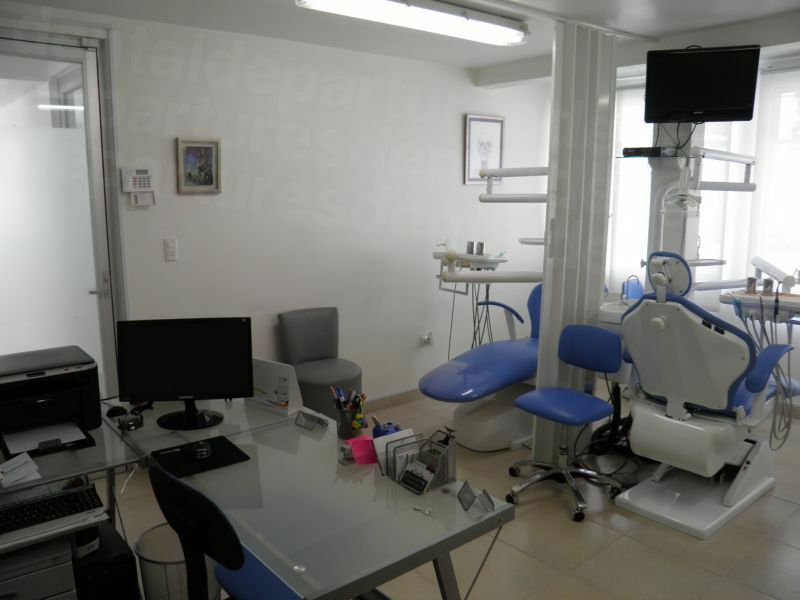 You can also book an appointment online with our dentists in Puebla City. Our quality-checked dentists will have you smiling in no time, and we guarantee you will always get the best prices available with us.